Author Archive: Robert T. Tally Jr.
A historian of celebrity culture might include in a footnote the curious emergence, brief duration, and inauspicious decline of a “star system” in academic literary studies in last quarter of the twentieth century. The recent publication of an authorized biography of Stanley Fish, who was among the most famous of those stars in the brave o’er hanging firmament of higher education in the 1980s and 1990s, offers an occasion to reflect upon this strange moment in modern literary studies. After all, Fish was not merely one among many stars at the time, but he also developed a persona as well as a critical theory that actively fueled this sort of academic glamour, decadence, and celebrity in literary studies at the time. Stanley Fish, America’s Enfant Terrible, by Gary A. Olson, is not so much a study of the life of an influential literary critic and university administrator than it is a tabloid-styled celebration of a popular celebrity. It is less Cleanth Brooks and more Khloé Kardashian. In his fascinating study of the rise, spread, and ultimate decline of “French theory” in America, François Cusset identified the emergence of academic stars as one of the more striking side-effects of the phenomenon, but he also observed that these “stars” became better known for their roles in the star system than for their own writings or ideas. Thus, for example, “scores of Americans have heard of Stanley Fish’s car collection, Cornel West’s salary, Stephen Greenblatt’s circle of friends, Donna Haraway’s provocative wardrobe, and queer theorist Eve Sedgwick’s late conversion to Buddhism before – and, also, all too often instead of – knowing their academic works.” Each of these figures proved themselves to be influential teachers, scholars, and literary critics, but if such publications as the New York Times took note of them, it was not always because their research seemed especially newsworthy. But also, lest we give overestimate the grandeur of this star system, please note that Cusset says “scores,” not hundreds or thousands; notwithstanding the enthusiasm of some, there were not all that many stargazers. Among such luminaries as Judith Butler, Gayatri Spivak, Henry Louis Gates Jr., Edward Said, Richard Rorty, and Fredric Jameson, all discussed by Cusset, Fish stands out for a couple of reasons: first, because he became the most widely known outside of the groves of academe, appearing in well-publicized debates, writing a regular online column for the New York Times, and generally making himself familiar to an audience far beyond that found in Milton Studies or similar such communities; but second, because – unlike some of other “public intellectuals” of this era, such as Said, Gates, or West – Fish develops a theory and practice more or less designed to celebrate celebrity. Becoming a “star” was one of Fish’s professional aims, as Olson’s authorized biography of him makes clear. We might even say that, if there were not a star system for him to join, he’d have had to invent one. We might even say that he did. Kurt Vonnegut is Taken Seriously, and You Won’t Believe What Happens Next! 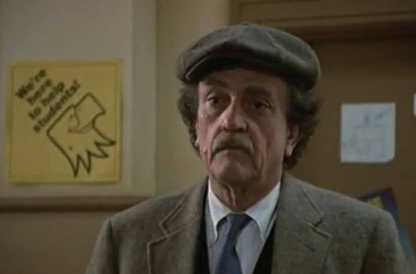 I’m not sure that it ranks as high as pictures of baby animals, meme-based quizzes, “infotainment” listicles, or Kim Kardashian’s prodigious rump, but Kurt Vonnegut’s very name seems to have become a powerful form of clickbait in the twenty-first century. Judging from my own Facebook feed, there must be weekly (if not almost daily) blog posts or internet articles citing the wit and wisdom of the great Hoosier novelist. Vonnegut’s birthday on November 11 – serendipitously, it coincides with Armistice Day, otherwise known as Remembrance Day, but in the United States (and to Vonnegut’s dismay) it is now called Veteran’s Day – occasioned another wave of links crashing upon my social media screens, including this one, bizarrely titled “So It Goes: A Life of Guidance from Kurt Vonnegut in 11 Quotes.” As with other such worshipful pieces, all of the quotations are taken completely out of context, but errant web-surfers apparently find his words all the more meaningful, inspiring, or “guiding” for their being context-less. It matters little that Vonnegut was writer who consistently lamented the loss of memory and who derogated the false promise of an afterlife, particularly when he is being memorialized on the internet in such a way as to reinforce the memory-loss and to celebrate immortality. More than seven years after his death and more than 45 years after the publication of his most famous novel, Vonnegut lives a vibrant, seemingly eternal life as a ghostly but wise internet presence. Hi ho! For Vonnegut fans, the author’s virtual afterlife might be gratifying, as it justifies their own fandom and lends support to the view that Vonnegut, despite appearances, remains a timely figure whose sage wisdom is perfectly suited to our perilous, uncertain times. (Although, as Vonnegut himself might have noted, all times that can be labeled “the present” are equally perilous and uncertain.) Vonnegut scholars, as distinct from fans, are more apt to be dismayed by the outsized and artificial figure of the pop-culture Kurt, whose guru-like status among these consumers of dime-store philosophy and BuzzFeed-styled advertising-posing-as-thoughtful-reflection clearly betrays Vonnegut’s own caveats about gurus, every single one of whom are mountebanks, grifters, confidence men, or worse … politicians. Like any writer, of course, Vonnegut craved an audience. He wanted to be taken seriously, perhaps more than ever when he was joking. But what he has mostly received from his many fans in the internet age is adulation, adoration, and even various forms of tribal worship. The website of The Kurt Vonnegut Memorial Library, a marvelous shrine in the novelist’s erstwhile hometown Indianapolis, features photographs of Vonnegut-inspired tattoos, emblazoned into the flesh of his zealous acolytes, for instance. Not that there’s anything wrong with that, naturally, but it’s hard to imagine the Brooks Brothers suit-clad Vonnegut rushing out to get Mark Twain quips permanently inscribed on his shoulder blades. In what must be a cosmic joke on the order of some of Vonnegut’s best science fiction, then, we find that the imaginative creator of the false faith of Bokononism, a practical religion based exclusively upon lies, has become an internet prophet and truth-teller of the new millennium. In this series thus far, I have discussed the ways in which Edgar Allan Poe is perhaps best viewed as a literary prankster or practical joker. In Part 1, I argued that the great theorist of “Diddling Considered as One of the Exact Sciences” was also, in his various works, a master “diddler,” frequently putting one over on his readers. In Part 2, I discussed the “poet as prankster,” suggesting that even Poe’s poetry is not always as serious as it seems, while examining one poem (“O Tempora! O Mores!”) that was itself composed and presented as part of an elaborate practical joke. 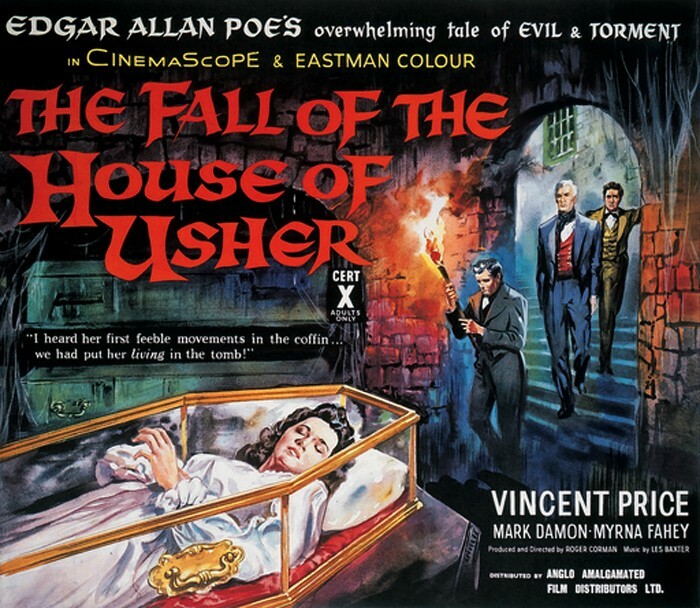 In Part 3, I argued that many of Poe’s most well-known stories, which are usually read as Gothic horror or mystery, might be considered as humorous, frequently functioning as comical send-ups of popular fictions of the era. In this entry, I want to consider another genre of writing for which Poe was quite famous in his own time: literary criticism. Not surprisingly, Poe’s literary criticism bears the mark of the prankster’s spirit, as his book reviews and essays are often filled with sardonic humor. As a literary critic and book reviewer for a number of magazines, Poe developed an infamous reputation as a “tomahawk-man,” a harsh critic who, in the words of his great contemporary James Russell Lowell, “seems sometimes to mistake his phial of prussic-acid for his inkstand.” Lowell’s own humorous aside does not detract from his judgement, stated one line earlier, of Poe as “the most discriminating, philosophical, and fearless critic upon imaginative works who has written in America.” Perhaps because of this discriminating, philosophical fearlessness, Poe-the-critic was loathe to suffer fools gladly or even at all, and some of his best known zingers have come at the expense of his fellow poets and fiction writers. For example, in an 1843 review of William Ellery Channing’s Our Amateur Poets, Poe writes: “His book contains about sixty-three things, which he calls poems, and which he no doubt seriously supposes so to be. They are full of all kinds of mistakes, of which the most important is that of their having been printed at all.” A paragraph later he calls for the author to be hanged, but—out of deference to his good name (Channing Sr. having been a “great essayist”)—Poe urges that the hangman “observe every species of decorum, and be especially careful of his feelings, and hang him gingerly and gracefully, with a silken cord.” Presumably, the remainder of the book review represents that figurative execution. Edgar Allan Poe remains one of the most popular writers in the history of American literature. In the twenty-first century, Poe finds himself at the center of movies, television shows, and internet memes; the very name or image of Poe can be considered “click-bait” on the web. Yet the pop-cultural version of Poe is not a very accurate picture of the man, as a number of Poe scholars (a.k.a. pedantic killjoys) like to point out. 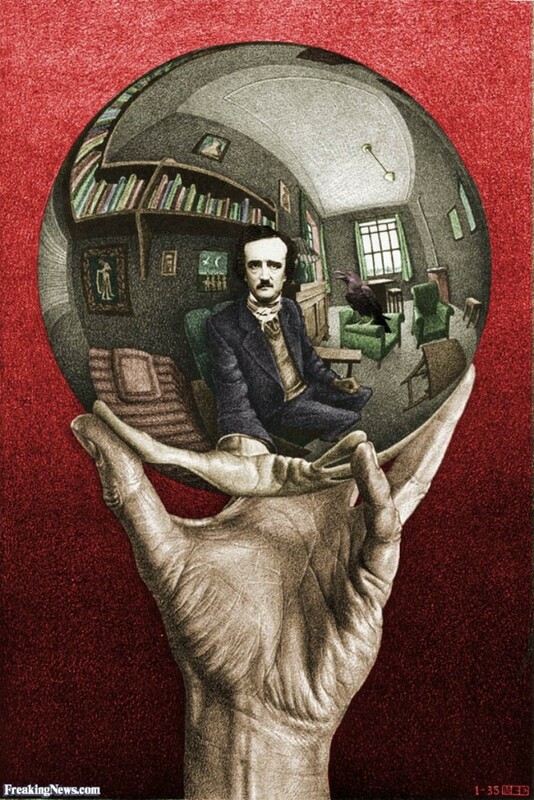 Although biographers reveal the man to have been a savvy, business-like, professional magazinist, someone who knew what sold in the literary marketplace and who gave the people what they wanted, most fans prefer to confuse Poe with some of his more memorable protagonists. Many readers envision Poe as a dark, brooding, Gothic madman, a visionary poet obsessed with waking nightmares, horror, and the mysteries beyond the grave. The author of “Ligeia,” “The Fall of the House of Usher,” “The Tell-Tale Heart,” and “The Raven” is assumed to be obsessed with premature burials, murder, and death. But what if this is all a ruse? 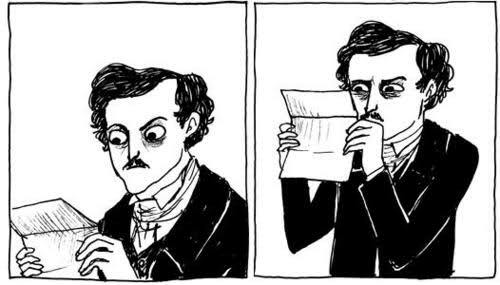 What if, to employ a term that Poe uses with approval, Poe is “diddling” his audience. In Poe and the Subversion of American Literature: Satire, Fantasy, Critique, I argue that Poe is perhaps best viewed as a practical joker, a highly skilled literary prankster whose fundamental talent lay in putting one over on people. More frequently than we care to admit, the victims of these confidence games, these diddles, are us, the readers. While we are thrilled by otherworldly wonders, aghast at inhuman terrors, and in awe of supernal beauty, Poe is grinning. Although Poe is best known and best loved as a figure of dark romanticism, he was also a humorist. In fact, Poe wrote far more pieces that could be considered humor or satire than those that would be called horror. If his first published tale (“Metzengerstein,” which actually could be viewed as a burlesque) was not intended to be comical, then his second (“The Duc De L’Omelette”) certainly was, and one of the last tales published during Poe’s lifetime, “X-ing a Paragrab,” was a silly little piece lampooning the newspaper or magazine industry itself. As David Galloway has pointed out, “comedies, satires, and hoaxes account for over half of his output of short stories.” (Significantly, Galloway’s observation appears in his introduction to a collection of short stories titled The Other Poe, whose title serves to emphasize the degree to which Poe is not widely known for his comedies and satires.) By numbers alone, one could argue that Poe was primarily a humorist, if sometimes a black humorist, and that his tales of terror or mystery were secondary to the main body of his collected works.